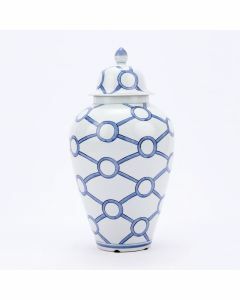 Blue and white porcelain is always in style! 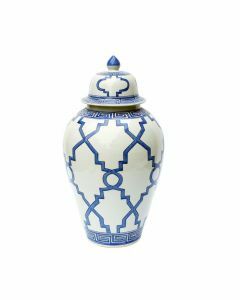 This stunning Blue & White Lover Locks Porcelain Temple Jar makes a fabulous addition to any space and is available in two sizes. 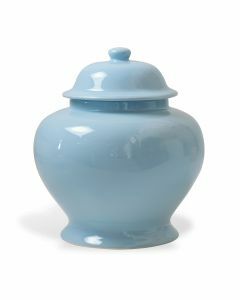 The small measures 11W x 11D x 18H and the large measures 13W x 13D x 21H. Please select size from drop down menu below. Click on images for greater detail.